Last Tuesday as we were making our way home from New York we decided to take a 5 min detour and stop in a really cool place. Well, really cool to me because I love The Office! 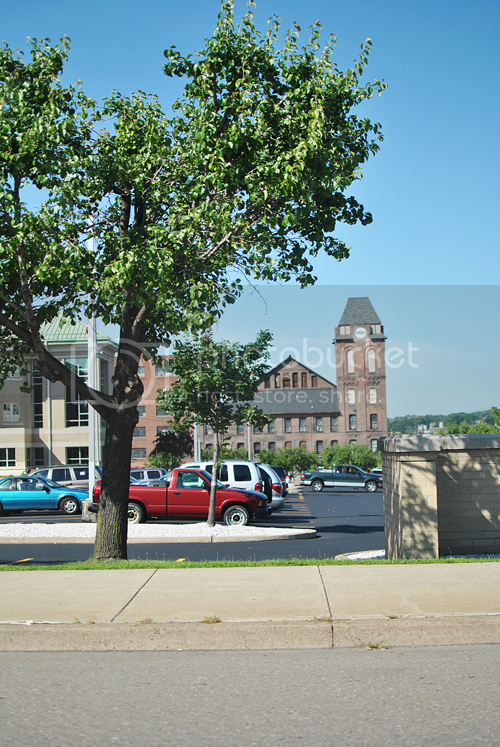 We stopped in Scranton! I know they don't actually film there but it was really cool to see anyways because I'm a big dork about that kind of stuff. 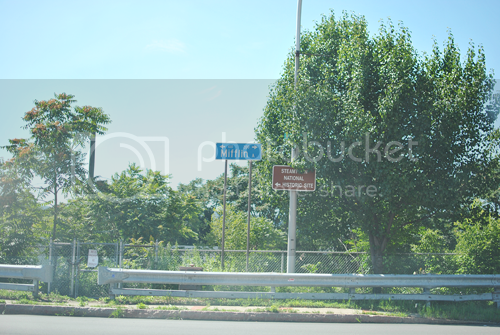 That photo is not the best (it's through the car windshield) but there is actually a Mifflin Street in Scranton! So that is the end of our journey. Vacations are so fun. We have a little 'mini vacation' coming up at the end of July that we are beyond excited about! I say mini because it is a weekend trip, we can't wait!! ps. Happy birthday to my awesome friend Dyanna! I know she reads my blog so, Dyanna if you are reading this, I hope you are having a fun trip and a great birthday! no way! that is awesome. haha! I'm a total dork about things like that too. WOW! That's so amazingly awesome that you went and did that, wouldn't it be so much fun to work at Dunder Mifflin? I'm so addicted to that show, its the perfect antidote to a bad day, or its the perfect accompaniment to a good day - LOVE this! What character are you most like on the Office? Haha that's so cool! 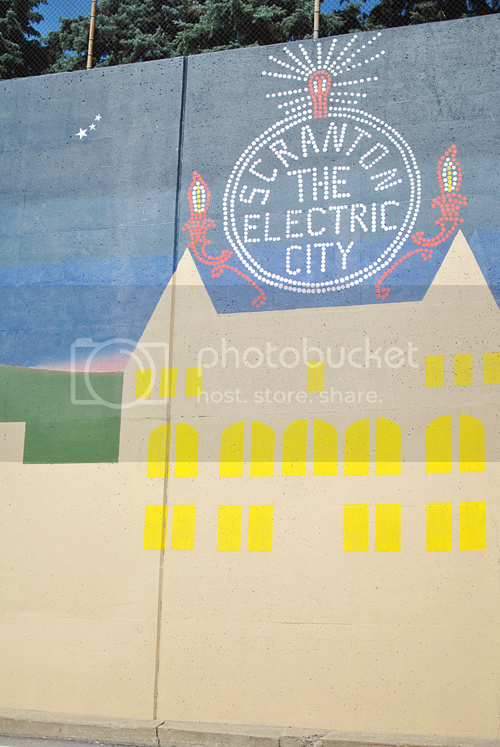 I would love to visit Scranton purely for The Office geekery. That rules. Ah, looks like so much fun! 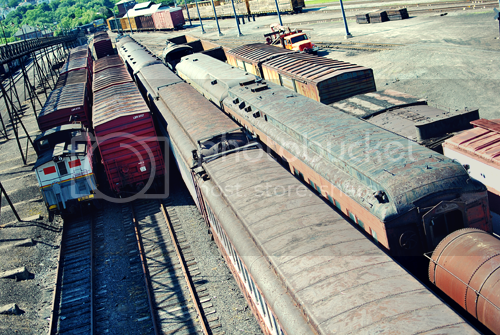 I love new york (even though this wasn't in new york...) I love the picture with the train in it! 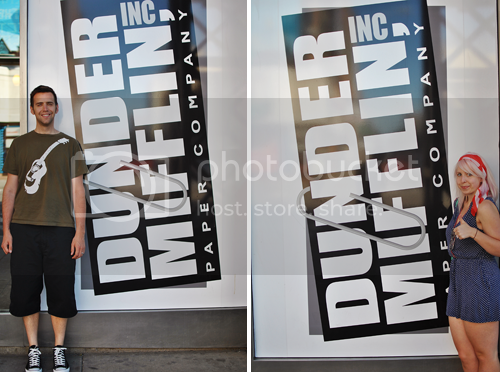 Hahaha, love that you posed with Dunder Mifflin sign, love it. Holy cow! I'm so jealous. I'm a HUGE fan of the Office, as is my husband. Can't wait to tell him that you went there and about Mifflin Street. We are going on a "mini" vacation this weekend. Sometimes it's good to just get out of town, if even for a weekend. So fun! I would have taken a detour, too. And not left, ever, if I saw Jim and Pam. ohh looks like fun! and i love your outfit with the scarf!! First off, congratulations! I live just outside of Scranton (as in like 5 minutes away). It was funny to see that was your stop :) I am glad you had a good trip and got to see a few of the spots. andrea, hmmm, i am most like angela because of the cats. haha not really. i am actually nothing like angela. who do you think i'm most like? Ahhh! What a fun side trip! I LOVE the office (and can probably quote it more than should be allowed) so this post made my day! I love this mini vacation! How fun! The Office is hilarious. Love the office! Such a great show; That's so awesome that you got to stop by Scranton. and I'm definitely a nerd for that kind of stuff too! I got to see the set of my favorite TV Show, Chuck, and I was freaking out the entire time, haha.